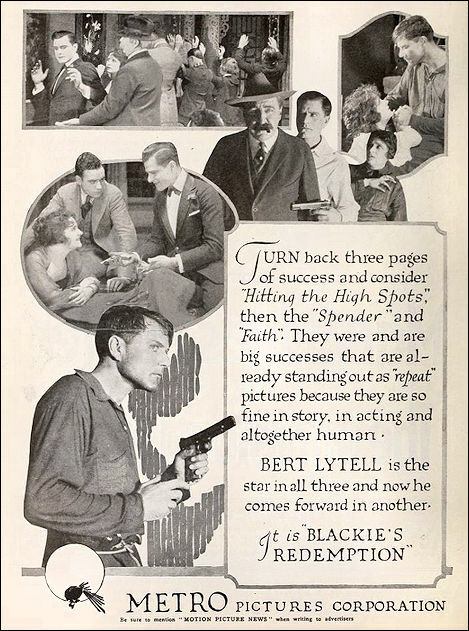 Boston Blackie, a crook so clever that no one can “get” him, has determined to go straight. Fred the Count, a cowardly crook, cracks a safe and comes unbidden to Blackie’s supper of farewell on the eve of his marriage to Mary, a worthy girl. The police hear of the robbery, come to the eating place and search everyone. The Count slips a pearl pin into Blackie’s pocket and this is found. Mary pledges to wait for Blackie, despite his very bad prospects, and meanwhile, to keep the villainy going, the Count tries to sway her affections, but fails. At San Quentin prison, Warden Sherwood receives Blackie with grim satisfaction. Time passes and Blackie, having become ill, is placed in the Hospital cell. With the aid of Squirrel, a half-wit convict, he breaks jail one stormy night and goes immediately to Mary. The police are notified and Sherwood finds him there, disguised as an old woman, mourning over a dummy that they tell the officer is Blackie. At an opportune moment, Blackie draws his gun and places it against the Warden’s head, and tells him that he hates to kill a man as brave as he is, but that he couldn’t trust him not to bother him. Blackie’s sense of fairness predominates and he gives the Warden a chance for his life, telling him that in two minutes by the clock they will reach together for their guns and the quickest hand wins. Mary looks on panic-stricken. Blackie grabs his gun and levels it at the Warden, who stands still, looking fearlessly at him. Blackie demands that he defend himself. Sherwood calmly says “no.” Blackie, with the cry of a broken and beaten man, throws his gun on the floor, saying “You have beaten me, Warden. I couldn’t. I will go back with you.” Mary is relieved that he did not kill the man. Blackie holds out his hands for hand-cuffs. The Warden looks into the grief-stricken faces of Mary and Blackie, and calmly tells them that he is sorry to have disturbed them; that he was looking for an escaped convict, but the man he wanted is not there. The men look understandingly into each others eyes and shake hands, and the Warden goes out and reports to the waiting men that it was a cold trail. In the meantime, Blackie’s old pal, Sober, reports that Fred the Count has framed up a job to rob the pay-roll of a lumber company. Blackie and Sober go up there, open the safe, scatter money all over the floor, and when Fred the Count comes in they knock him out and also the constable, then they handcuff Fred to the constable. And Blackie and Mary leave for Honolulu on a deferred wedding trip. This alternate version of “Boston Blackie’s Mary” sprang from the pen of screen scenarioist Finis Fox, who the following year scripted Metro Pictures’ ALIAS JIMMY VALENTINE (based on the short story “A Retrieved Reformation” by O. Henry). 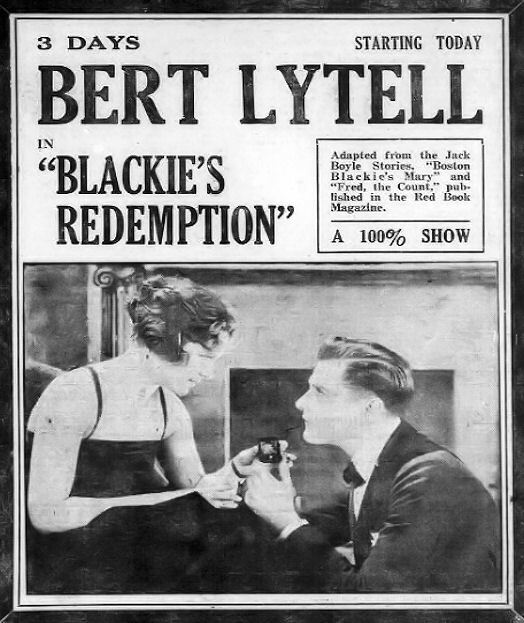 Moviegoers in 1920 may have felt some deja vu, as ALIAS JIMMY VALENTINE starred Bert Lytell, and featured a climax in which the detective chasing the title character experienced a change of heart and let his quarry go, after deciding that the criminal had become a changed man.